It's hot and it's the summer but I don't exactly want to gauge out on ice cream for the next three months because I may end up turning like an asian oompa loompa next year. Natural frozen yoghurt has been the healthy alternative lately and this whole craze has seem to be be spreading fast. It's so popular that everytime you log onto facebook, some friend of yours would ave bound to have checked in at one of these places. 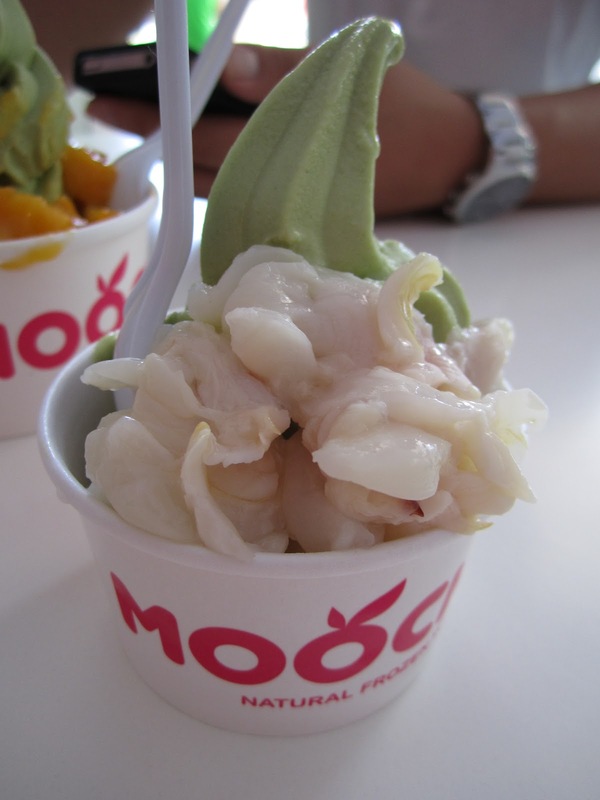 Moochi has 4 different flavours: original, mango, pomegranate and green tea. 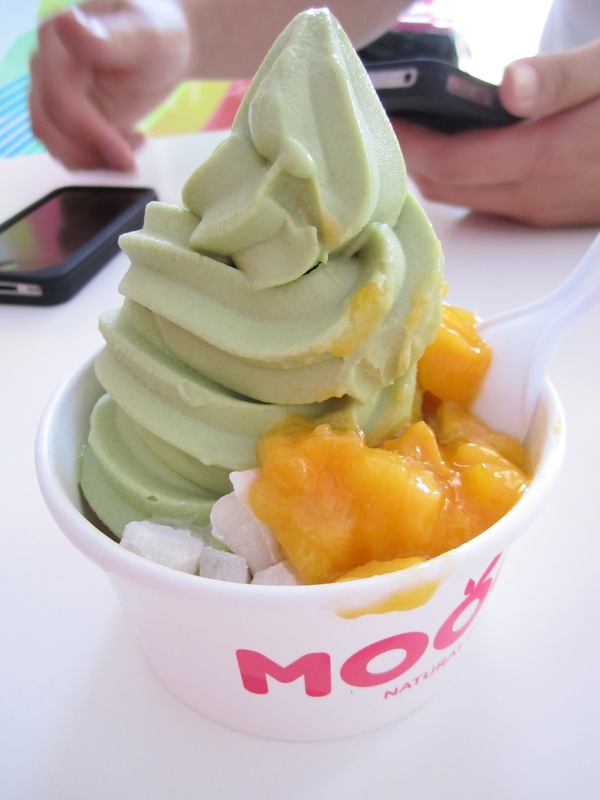 Personally I prefer the green tea because it helps balance out the sweetness from the toppings. I do admit that pricing wise, it is more expensive than your typical dessert such as a scoop of ice cream or sorbet and some may say that you get a larger quantity of ice cream for the same price. Though, for it's price, you have to consider that the quality of food you are receiving is a healthier alternative to say, fatty and creamy ice cream. For all those smart phone owners out there, come and check out Points Pal which is something I discovered today and thought it was pretty cool. I always hate it when I forget to bring my loyalty card because it means I am losing out on those awesome points to get myself a free cup of yoghurt. I can finally saw goodbye to those worries because you can now collect points with Point Pal simply by installing the app on your phone. Welcome to the world of technology I'd say. 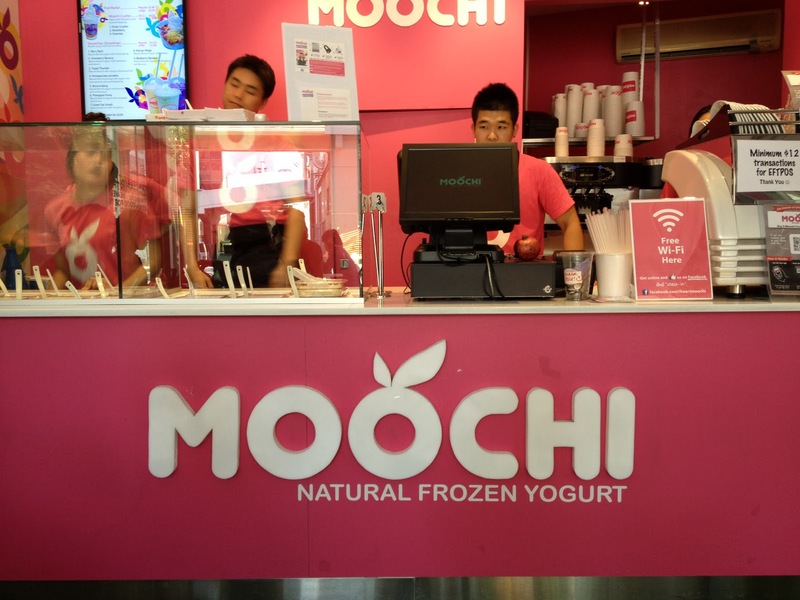 It looks like Moochi is just an exact replica of a well known franchise in UK called SNOG! 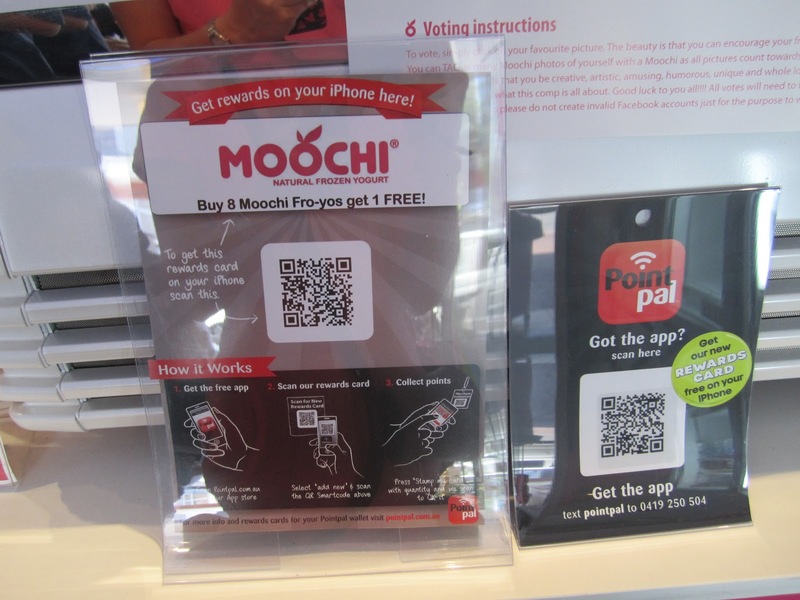 when i saw SNOG in London, i couldn't get over how ridiculous it was! You wouldn't even be able to tell which ones which if you covered the logo. Pretty disappointed in Moochi brand. Thank you :) I have heard some ppl say that it was like SNOG but I hadn't actually seen a photo of their branding until now. I am surprised that it does look pretty much identical. These guys have totally ripped off australias original and best 'wowcow' in daringhurst...been around for yrs ....nothing beats it! Yeah, I've been to redmango too! I guess they do all serve the same products, but i was mainly talking about the branding and how identical it is. Red mango and pinkberry have totally different concepts to SNOG and moochi just seems to be a replica of Snog.